Including rules for creating characterful leaders for your army's divisions, for scouting and seizing the best terrain on the battlefield, and for fighting a battle of wit and nerve against your opponent. A series of different types of engagement, from the classical pitched battle to more complex layouts, which can be used to play challenging battles. Rules for organizing your models into an army, including two full army lists for the Early Crusader States and the Arab Dynasties, plus a range of sample units from other armies of the medieval period. Historical information and a detailed map describing the onset of the Crusades in the Holy Land. 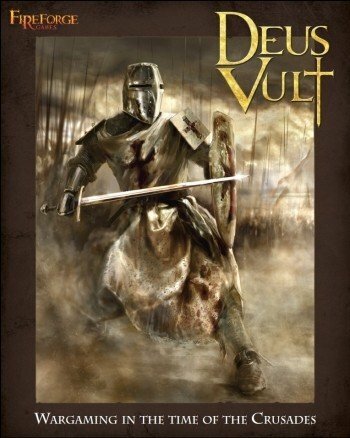 Includes guidelines and useful tips for running different games of Deus Vult, including tournaments, as well as useful playing aids.